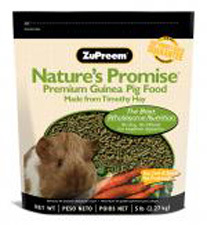 Nature's Promise Premium Guinea Pig Food by ZuPreem is made from long strand, high-fiber, premium Western Timothy Hay with fresh ground vegetables for a fresh aroma and taste your pet will love. Made with a stable source of Vitamin C which is required daily for your guinea pig's good health. Added vitamins and minerals with no soy or wheat to cause your pet digestive upset. 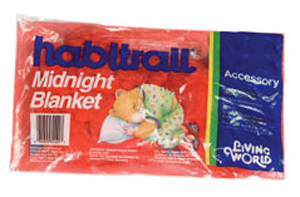 Available in 5 lb and 20 lb unit sizes.